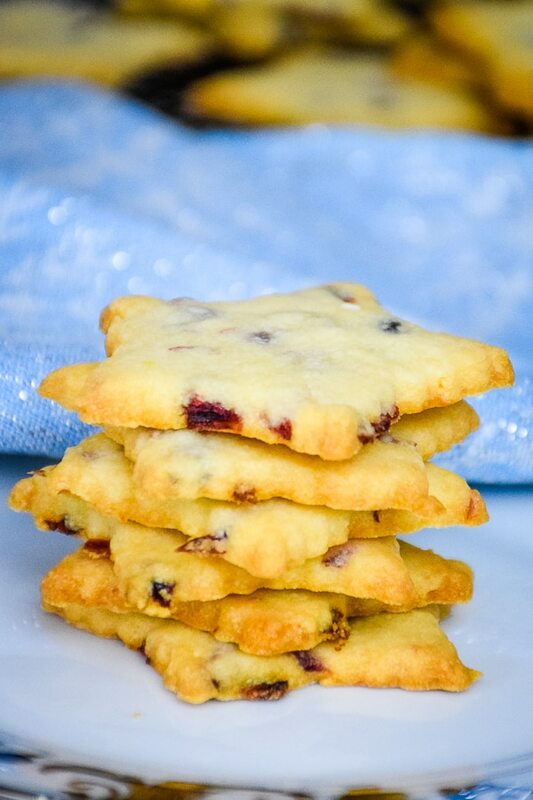 Cranberry Orange Shortbread Cookies are buttery bites full of orange flavor and pieces of dried cranberries. This easy to make cookie recipe is perfect for the holidays and great for cookie trays! Let’s start the Christmas Cookie Baking Season off with these Buttery Cookies! It has been a while since I’ve posted a new cookie recipe here! 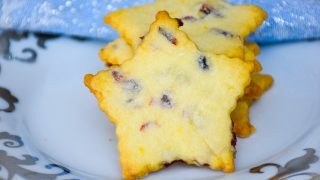 With Christmas on the horizon, I have had cookies on the brain and do have a few new recipes to share this season. 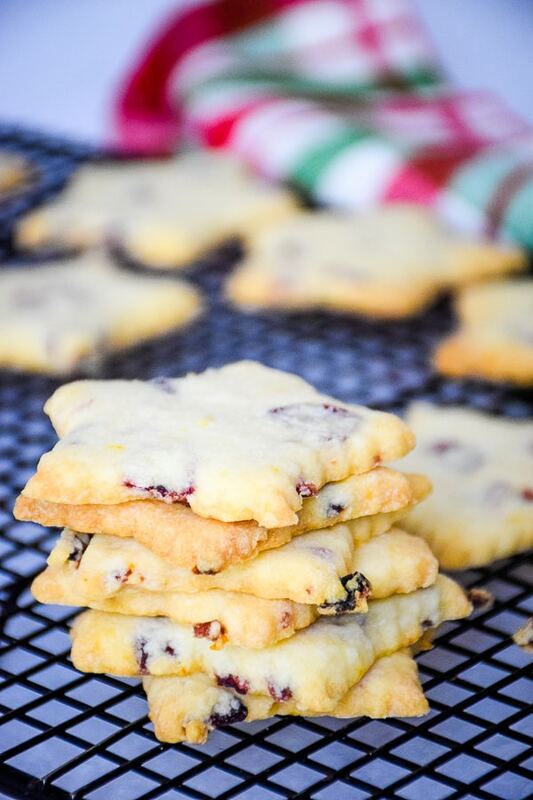 I have a chewy White Chocolate Orange Cranberry Cookie as well as a White Chocolate Cranberry Filled Soft Cookie here on the blog. The soft cookie is a recipe of my Nanny’s that I changed up to make a filling that was made of flavors Grumpy likes. He is a lover of all things white chocolate and cranberry. 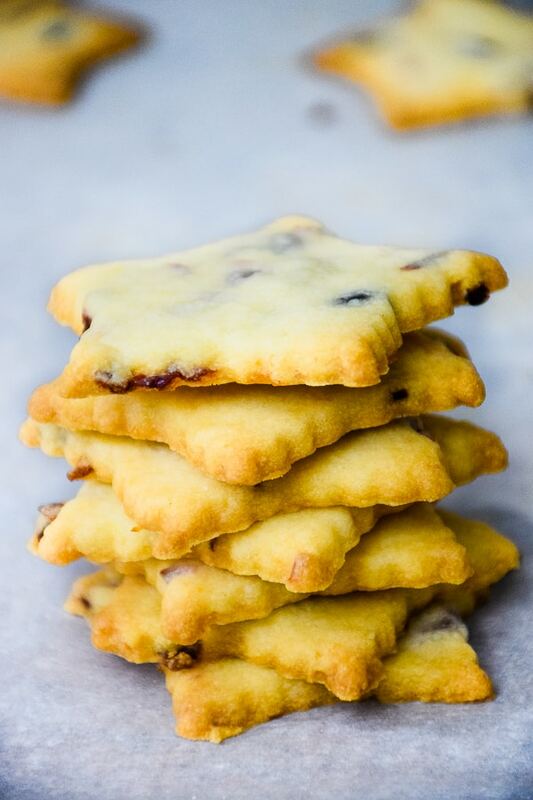 While I do love chewy or soft cookies, I also love a real buttery, crispy shortbread. I also love the combination of cranberry and orange. Grumpy not so much. I wish I could leave them as he does. Unfortunately, I love them too much to leave them alone! I ended up bagging these cookies up and giving them away because I knew I would not keep them out of my fingers going to my mouth! I love to make these type of cookies ahead of time because they are great cookies to store in your freezer without affecting the quality of the cookie. They are also super simple to make! 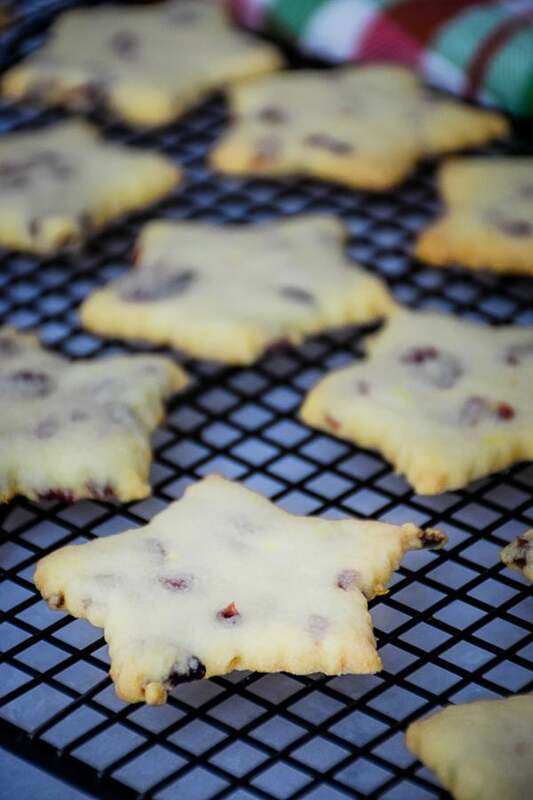 The only difficulty I had with these was the dried cranberries did want to get in the way of my cookie cutter and wouldn’t completely go through. I found I had to press firmly to cut through the cranberries and I still ended up with some zagged little edges because of it. 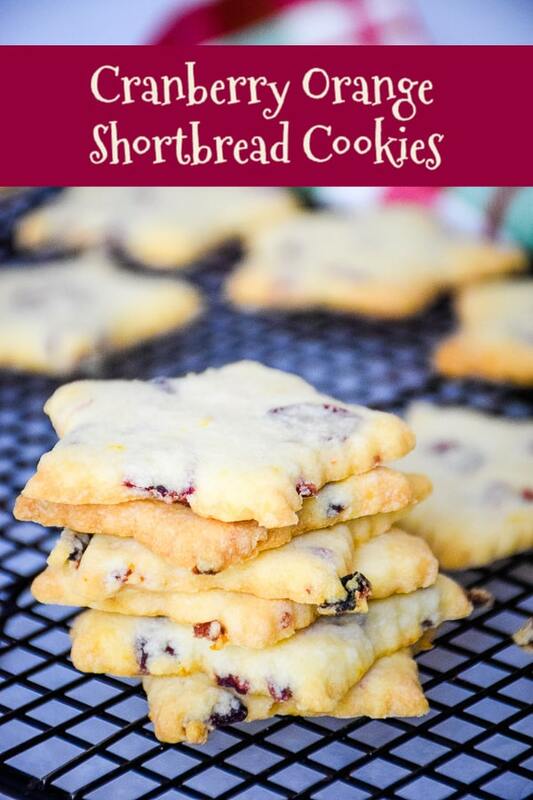 What I loved best about these Orange Cranberry Shortbread Cookies! The zagged little edges are super crispy and the cranberry part crisped more so because they were sticking out of the edge. That gave these cookies a nice little touch in my opinion. I’m all about texture appeal and that type of texture is something I do like. Make sure your butter is at room temperature before creaming together with sugar. I like to set my butter out at least 30 minutes before mixing. 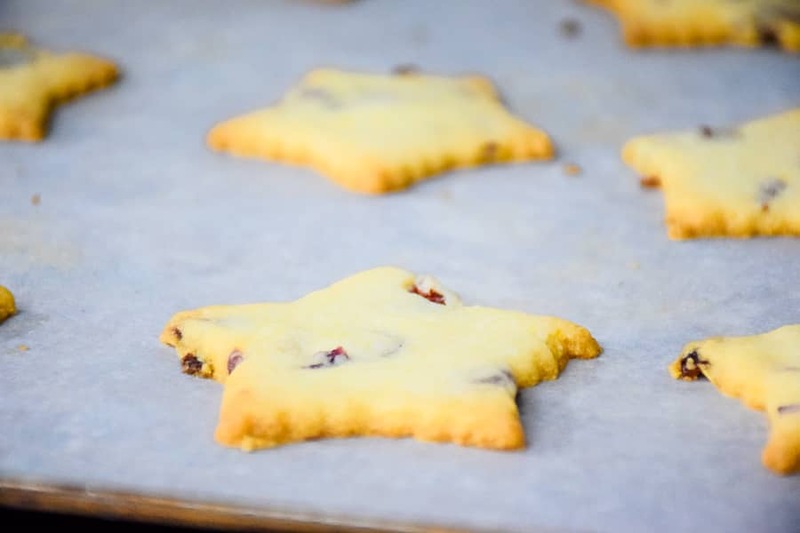 Use a sturdy cookie cutter with sharp edges, or just cut your cookies with a sharp knife into squares. Watch cookies carefully while baking and check every 5 minutes. They will brown quickly. 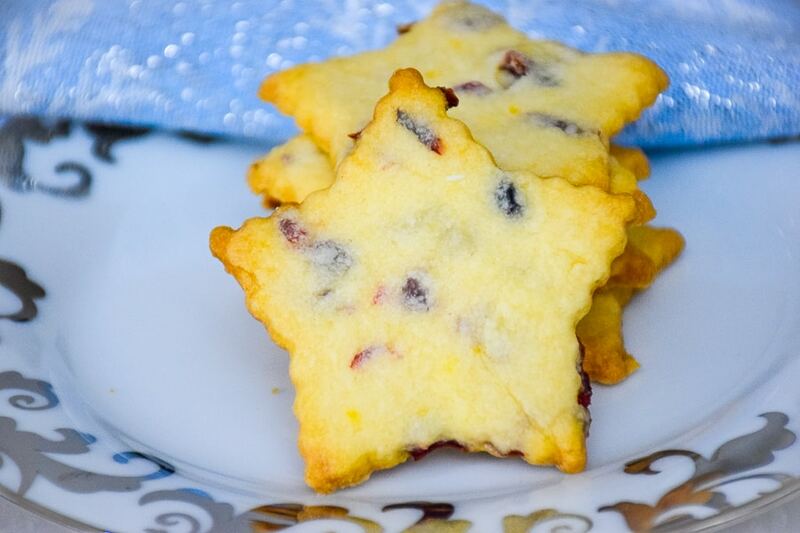 Don’t forget to Pin and Share Cranberry Orange Shortbread Cookies! In mixing bowl, using hand mixer, combine butter, orange extract, and powdered sugar until creamy. In separate mixing bowl, combine flour, orange zest, and salt. Gradually add flour mixture to butter mixture, mixing with hand mixer until well combined. Roll with rolling pin until about 1/4 inch thick. Using desired cookie cutter, cut cookies and place on parchment lined cookie sheet. Bake in oven for 15-20 minutes, or until lightly browned. Cool completely on baking racks. Transfer to air tight storage container. The cookies look delicious. 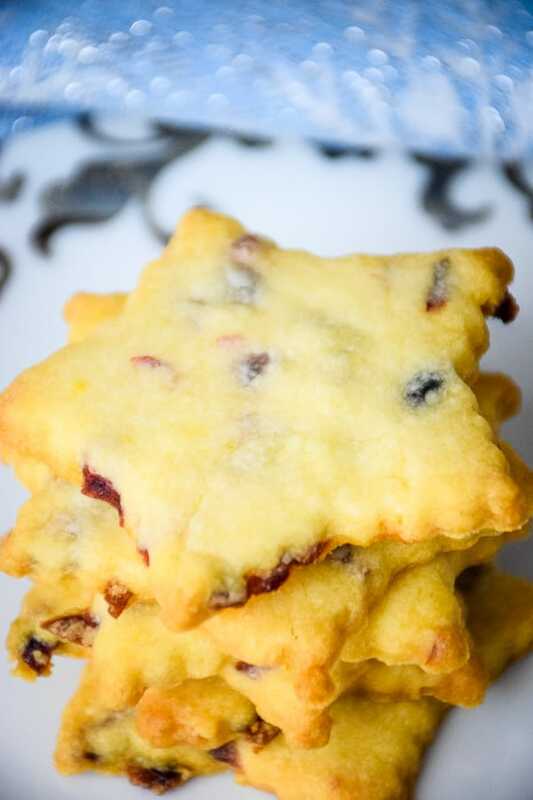 We like a crispy buttery cookie and I will be making this recipe!